Thankfully, more and more organizations and individuals around the world are coming to recognize the plight of the world’s shark populations, and scientists have reached a total consensus about the need to protect them. Therefore the IUCN Shark Specialist group has called on action from governments to act, and improve policy to manage and conserve shark species, both internationally and regionally. Conservation organizations too are speaking up. Around the world, organisations have campaigned for shark finning bans and sustainable management of shark fisheries. In Europe, the Shark Alliance, an alliance of over 100 organizations, got the EU to adopt a Plan of Action for the Management of sharks and to close the loopholes in the EU finning ban. In 2014, a great victory was won when five shark species, among them commercially interesting species like hammerhead shark and porbeagle shark, were added to Appendix II of the Convention on International Trade of Endangered Species (CITES). And in 2016, the silky shark, thresher sharks and mobula rays were added. In fact, sharks and rays are the only fish, in addition to seahorses, now protected through CITES. For a full overview of sharks listed on CITES, visit their website. In a parallel process, organizations have been campaigning for shark sanctuaries. Led by the Pew Trusts Global Shark Conservation Program, shark sanctuaries now cover 6 million square miles of the world’s oceans and include several nations in the Caribbean. There are 5 marine protected areas in the Dutch Caribbean but these do not give sharks specific protection: Bonaire National Marine Park ( 1969), Curaçao Underwater Park (est. 1983), Saba National Marine Park (est. 1987), Saba Bank National Park (est. 2010), St. Eustatius National Marine Park (est. 1996), and Man of War Shoal Marine Park (est. 2010). In 2010 Bonaire was the first island to introduce legislation protecting all sharks and rays. In 2011, the Man of War Shoal Marine Park became the first marine park in the Dutch Caribbean to have specific legislation for shark conservation. October 12th, 2011: St. Maarten’s government issues a temporary moratorium on shark fishing within the Man of War Shoal Marine Park. The take and landing of sharks are prohibited and incidentally caught shark must be immediately released. Yarari covers Bonaire and Saba’s full exclusive economic zones (EEZs). All commercial shark fishing is to be prohibited within the sanctuaries up to 200 nautical miles from each island, a combined total of 22,382 square kilometers (8,816 square miles). Yarari will help protect the 27 shark species found in Dutch Caribbean waters, including endangered ones such as the scalloped hammerhead and whale shark. 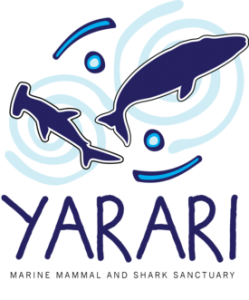 Implementation of Yarari is being done in close cooperation with the AGOA marine mammal sanctuary. Creation of a shark sanctuary for St. Maarten announced in June 2016. Curacao has vowed to establish legislation to protect sharks in its waters within the year. There are currently 14 shark sanctuaries in the world, covering approximately 6 million square miles. 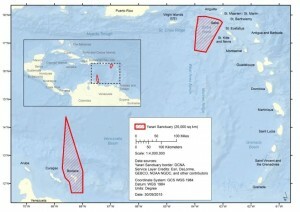 Half of the world’s shark sanctuaries are now located within the Caribbean, including three in the Dutch Caribbean.